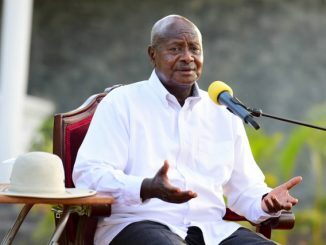 Uganda is on high alert following Ebola outbreak in Democratic Republic of Congo (DRC). 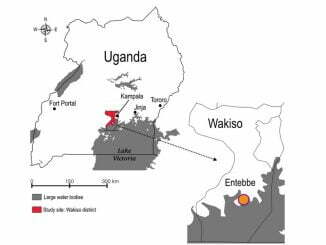 Uganda is on high alert following reports that Ebola has claimed three lives in Butembo; a city situated 51 kilometers from Mpondwe border post, near the Democratic Republic of the Congo. Lying west of the Virunga National Park, Butembo is a busy trading center with a population of around one million people and an important commercial centre with large markets, often frequented by traders from Uganda, Kenya and Rwanda. 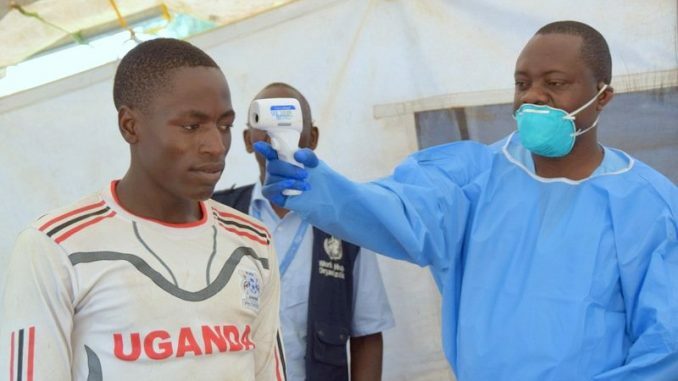 According to the World Health Organization (WHO), there were 137 confirmed and probable cases and 92 deaths in the latest Ebola outbreak in the Democratic Republic of Congo that has mainly devastated the areas of North Kivu. Following the confirmation of deaths in the area, the Ministry of Health has procured five walk-through scanners to detect people’s temperatures. The scanners will be placed at border crossings, according to Emmanuel Ainebyoona, the Senior Public Relations Officer of the Ministry of Health. Others will be placed at the VIP lounge at the airport and the other two at border crossings. Ainebyoona says that all posts are now on high alert monitoring the situation closely in districts that border the Democratic Republic of Congo (DRC). Last month Health minister Jane Ruth Aceng announced that emergency vaccination against Ebola will be carried out for people in high risk situations like health workers. According to the health ministry, up to 3 trillion Shillings is needed in Uganda’s efforts to combat Ebola. The country has been on alert since outbreaks of the disease were announced in North Kivu in early August. The ministry and other partners like Red Cross, WHO and UNICEF are carrying out surveillance in the five districts of Bundibugyo, Kasese, Ntoroko, Bunyangabu and Kabarole that are close to North Kivu.